Should You Get a Storage Unit or a Storage Shed? Sometimes, you end up with more stuff than you have space for. Don’t worry, it happens to the best of us at one point or another. Life often brings the unexpected, and the unexpected often brings a lot of stuff. If you have found yourself in a situation where you need more storage space, you may be debating between getting a storage shed or renting a storage unit. 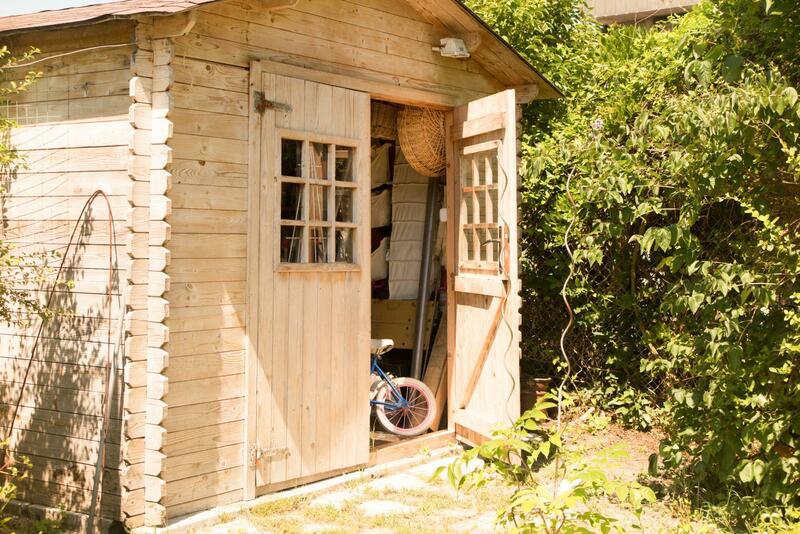 In this Affordable Family Storage blog, our storage experts weigh the pros and cons of storage sheds vs. storage units. A storage shed is a helpful addition to many homes. They are easy to access from your home, meaning you don’t need to go very far to retrieve something you’ve packed away. Storage sheds are especially great for storing things like lawn care equipment that would otherwise take up space in your garage. That way, you can actually use your garage to park your car! You can also convert that space into a man cave, an art studio, and even a dog house if you would like. Since you own the shed and it is on your property, the possibilities are virtually endless. While the convenience of having a storage shed in your backyard is great, there are some drawbacks. If your backyard isn’t very large in the first place, having a storage shed will take up valuable space that could be better used for your family. Also, storage sheds really only benefit those who have yards for them in the first place! If you live in an apartment or have a home with minimal lawn space around it, a storage shed isn’t a viable storage solution. You also may have to spend a lot of money to insulate the shed, or else your stuff can be easily damaged by extreme heat and extreme cold. Storage units have a number of benefits as well. They come in a variety of sizes, so you will be able to find whatever size space you need to keep everything. Many storage units, like the ones at Affordable Family Storage in Topeka, feature climate control, so whatever you store won’t be damaged by fluctuating weather temperatures. And, when you choose a storage unit from AFS Topeka, you can rest assured knowing your items are protected by video surveillance and several other security measures. Obviously, having an off-site storage unit doesn’t have quite the convenience of a backyard storage shed. And since it’s not on your property, you don’t have as many options for customization. But, even with these cons, a storage unit is a great option for many! If you’ve decided that a storage unit is the solution for your space needs, reserve your unit online with Affordable Family Storage today! Our online payment system makes taking care of your bills a breeze. If you have any questions, stop by our location at 240 SE 29th St near Jefferson Square, Highland Crest, and Central Highland Park. We look forward to seeing you!